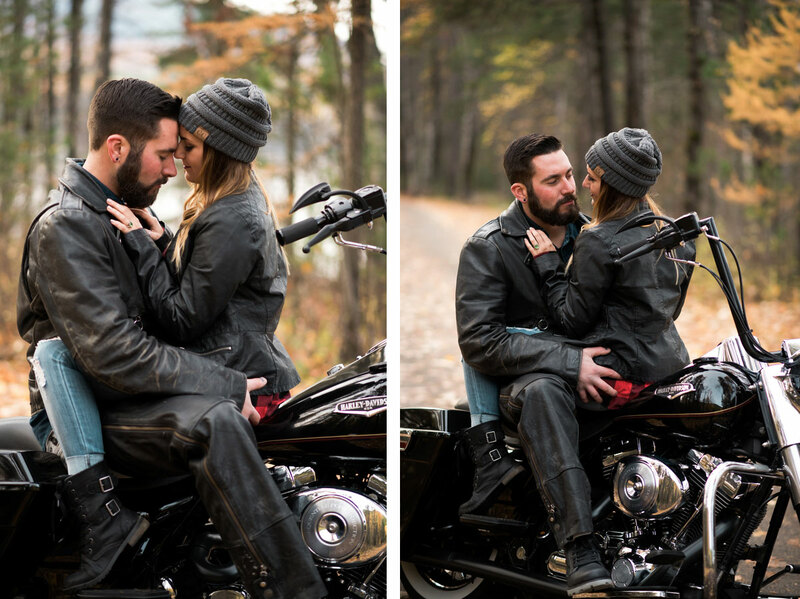 Glacier National Park set the stage for this romantic engagement shoot. 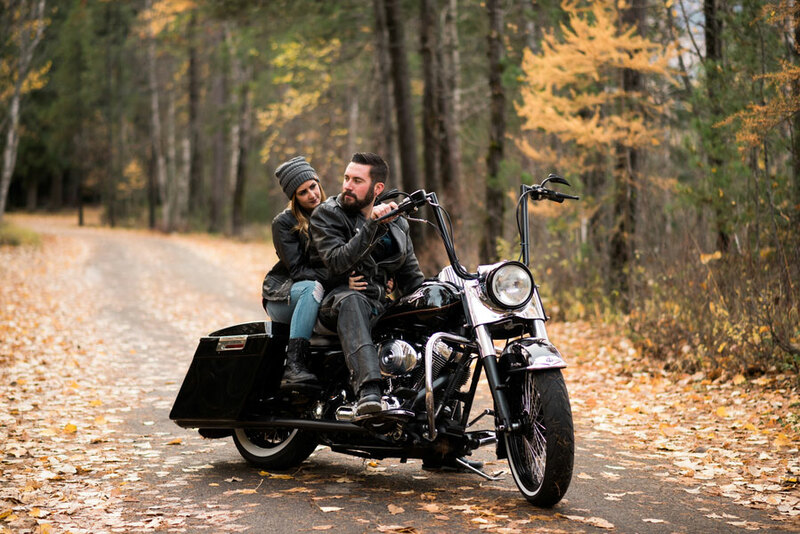 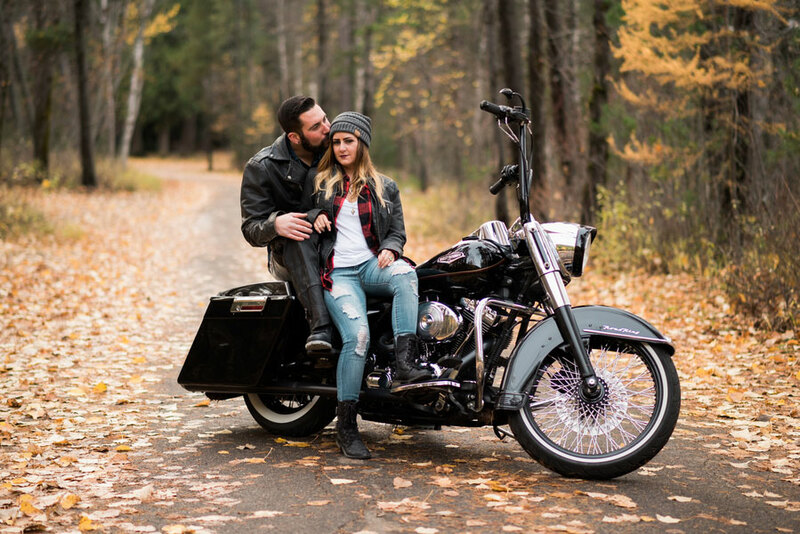 What better way to enjoy the beauty of fall than on a motorcycle as the leaves of autumn rain down from the trees creating a road lined with gold. 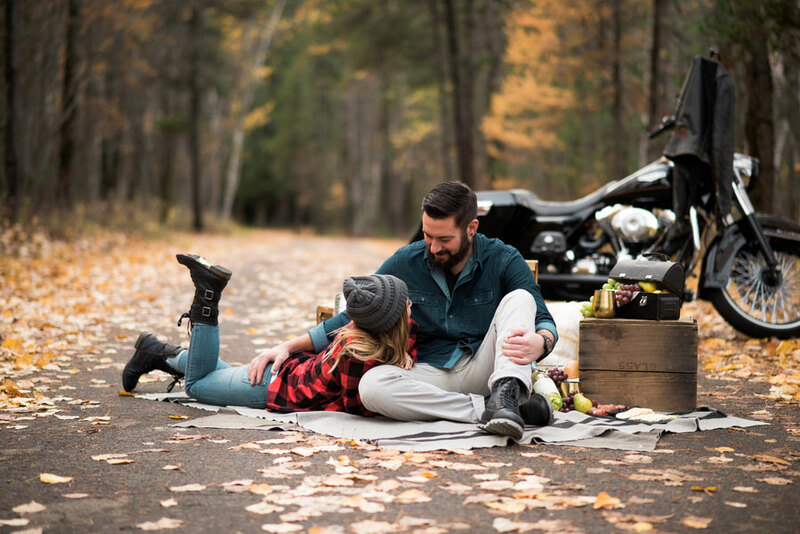 Stop for a picnic, snap a few photos and continue your romantic journey through the forest. 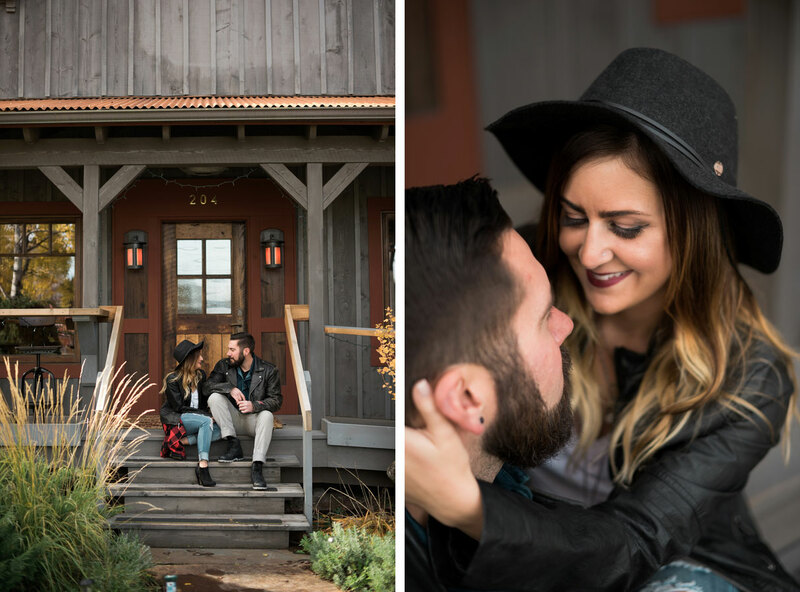 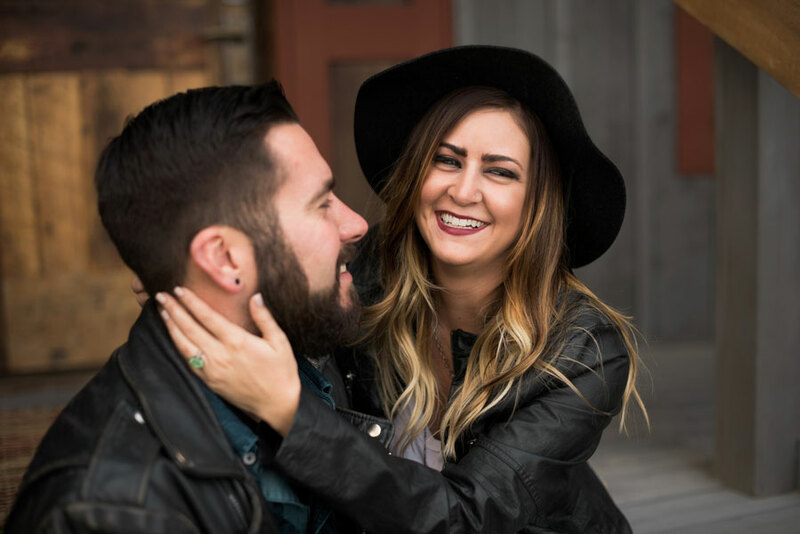 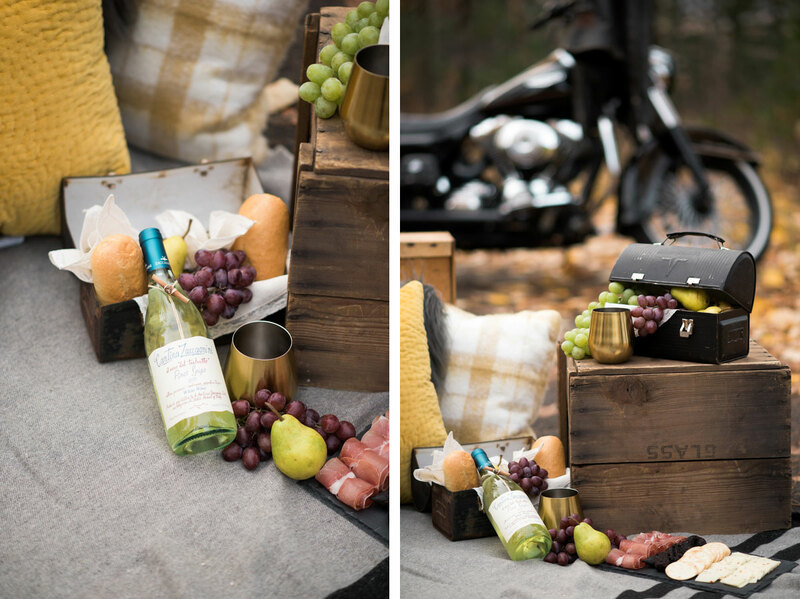 Sounds like the perfect recipe for an unforgettable engagement session.